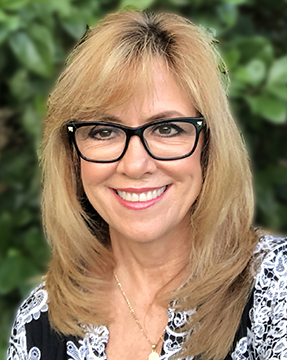 Dr. Hallmark is a licensed Clinical Psychologist who received her Doctor of Psychology Degree from the Miami Institute of Psychology in Miami, Fl. in 1997 where she specialized in Neuropsychology. She completed her Internship at The Johns Hopkins University School of Medicine & the Kennedy-Krieger Institute. Dr. Hallmark has 31 years of experience treating children and adolescents. She specializes in Neuropsychological Evaluations, Assessments for Learning Disorders, Dyslexia Testing, ADHD treatment and evaluation and Social Skills Groups. Dr. Hallmark is currently working towards her board certification in Neurofeedback through the Biofeedback Certification International Alliance. Dr. Hallmark’s work with cognitive disorders includes: Traumatic Brain Injury, Stroke, Agenesis of the Corpus Callosum (ACC), Seizure Disorder, Dementia (specifically Creutzfeldt Jakob Disease) Learning Disorders and a variety of other cognitive disorders. Consultation Services are offered to parents seeking direction regarding appropriate services for their child. This service will provide a venue for parents to discuss any concerns regarding their child’s behavior and/or ability to learn. Through this service they will receive recommendations and referrals to facilitate the care coordination of their child. Neuropsychological Evaluations seek to understand how various components of the brain are able to do their jobs. Neuropsychological Evaluations are essential for the assessment of Learning Disorders. Areas assessed include: problem solving and planning ability, memory, language skills, visual processing, auditory processing and motor skills. This evaluation will help to determine strengths and weaknesses allowing for appropriate school and/or treatment recommendations. A neuropsychological evaluation is essential in ruling out cognitive and/or processing deficits, speech/language disorders, auditory processing disorders, and learning disorders all of which can have a significant impact on a child’s ability to learn and adequately function in daily living. Dyslexia Testing assesses intellectual functioning, phonological processing, auditory processing, language skills, short-term memory, reading (comprehension and fluency), writing and spelling. Dyslexia is a disorder in which a child has difficulty in learning to read, write and spell, despite adequate instruction, intelligence and sociocultural opportunity. Children with Dyslexia not only have often have difficulty learning to read, write and spell, but also have problems with the ability to hear, identify and manipulate individual sounds (phonological processing and phonetic coding) and problems with reading fluency. Early identification is critical because the earlier the intervention, the easier it is to remediate. 3. If intervention is not provided before the age of eight, the probability of reading difficulty continuing into high school is 75%. Attention-Deficit/Hyperactivity Disorder Evaluation and Treatment. Parent training and education relating to behavior management strategies is also provided. Social Skills Groups for children and adolescents who are having difficulty with age appropriate socialization.